What does it take to be a successful entrepreneur and make it big? Legendary angel investor Ron Conway shed some light on this issue during a quick fireside chat at Y Combinator’s Startup School event. 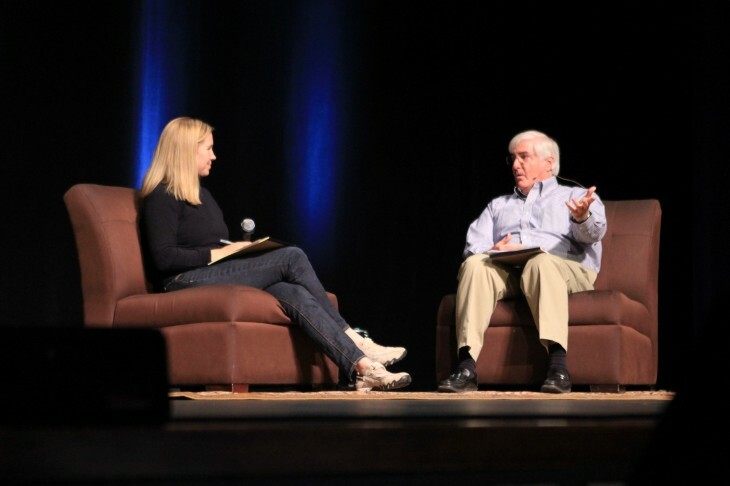 Conway spoke about his experience with notable companies like Twitter, Google, Pinterest, Snapchat, and Airbnb. One of the first questions asked was about Twitter, especially in light of the microblogging platform’s upcoming IPO — he’s one of the earliest investors in the company. So what attracted Conway to Twitter? Back in 1998, he met Twitter’s future co-founder Evan Williams when his firm SV Angel made an investment in Google, which had acquired Blogger. From there, Conway made another investment in Williams’ next startup, Odeo. When that startup went under, Williams gave money back to its investors, feeling bad about the failure, which touched Conway enough that he immediately offered to invest in his next startup — that wound up being Twitter. So what did Conway think about Twitter? “It looks great, let’s see how it works,” he said. As things turned out, the product quickly took off with adoption by many users, but didn’t wind up being able to keep up with the growth. Conway also made an investment in Facebook because of his history with Sean Parker, who had just become president of the social network company. Admittedly he was skeptical about the type of service Facebook was, but the growth and engagement on the social network was what caught Conway’s eye … and money. Not every startup will succeed and Conway says that 40 percent of the firm’s investments often fail. But even if your company doesn’t blow up, you shouldn’t be frustrated — just look at Pinterest. This particular startup didn’t initially see the huge growth like with Twitter and Facebook. Conway calls founders in this situation as “unsung heroes”. So how does a company see the amazing growth that Facebook, Twitter, and Pinterest are seeing now? Conway says that founders should focus on the product design. He believes that entrepreneurs should worry about whether their product is the best that it can be and whether or not people will want to use it. Stop focusing on getting out in front of the media to talk about your company — this is something that Facebook CEO Mark Zuckerberg and Pinterest’s Ben Silbermann are doing. Conway believes that having a product focus is a really important aspect that investors are looking for when making funding decisions.